Bradley’s of North Main Street, Cork, are well known for their selection of fine wines. And, where there’s wine, there’s olive oil. Indeed, quite a few of the oils available here are made by top wine-makers including a few from Tuscany and Spain’s Torres. Speaking of Tuscany, a wine and olive oil producer there once told me that the best way to make olive oil is to immediately cold press the just picked grapes. In his place, it was done in the cool of the night as the Olive Press was too hot during the day, which it was. I tried it and you could hardly stand there for a minute. He was scathing about the big companies who dragged in olives from all over the Med and were still able to claim that the oil was on a par with his. The longer the olives are hanging around (or in transport) the more the acid is a factor. Some big producers filter out the acid but also much of the goodness. Tuscany is more or less on the northern edge of the kind of climate in which the olive tree grows and so is very susceptible to changes in the weather, especially the frost which has been known to more or less wipe out the olive rows. The one in 1985 was a disaster. The trees had be severely pruned to ground level and it took all of ten years to get a good crop again. So the arrival of the new season’s oils in Tuscany is a big event. It is like a fete and the restaurants mark it by putting on special menus. It is very important for Tuscan cuisine and they always cook with good oil. to keep the fragrance. Read more here. 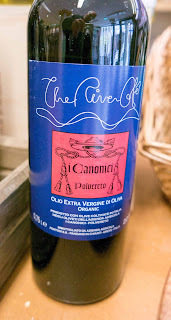 The River Cafe I Canonici 2016 EVOO: also from Tuscany, this is an almost luminous green in its youth (as many of them are! ); this bright oil is fragrant and very spicy with lovely fresh grass and green olive characters. Clean and bright it has tremendous depth of flavour right through to the long peppery finish. 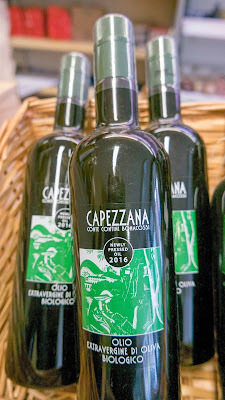 Capazzana 2016: Organic and another Tuscan. 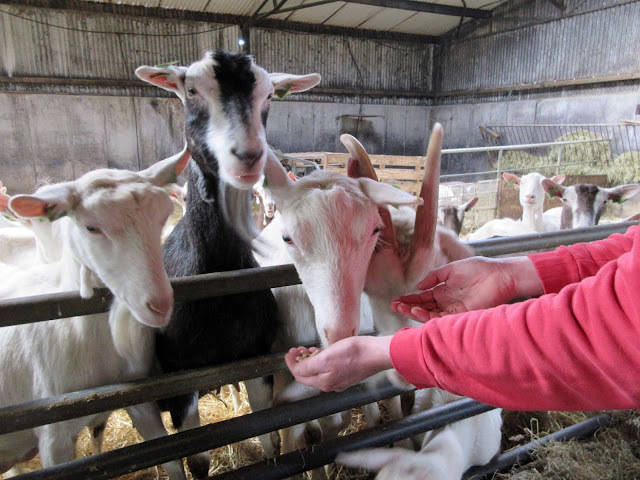 Quite a bright green in colour, soft and fruity with a light spice and great delicacy, perfect for drizzling over freshly baked bread and using in dressing for salads. 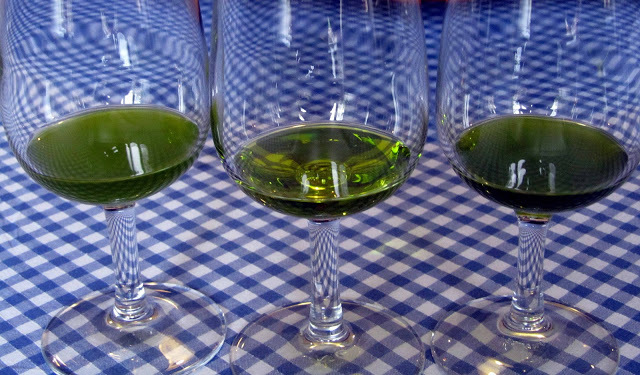 Alpha Zeta 2015 EVOO: Golden-green in colour with a light delicate perfume of fresh grass and ripe olives. Light and delicate on the palate with a fresh grassy taste, medium body and a smooth ripe finish. Excellent for drizzling over more delicate dishes. This comes from the hills outside Verona where cool breezes come down from the Dolomites. 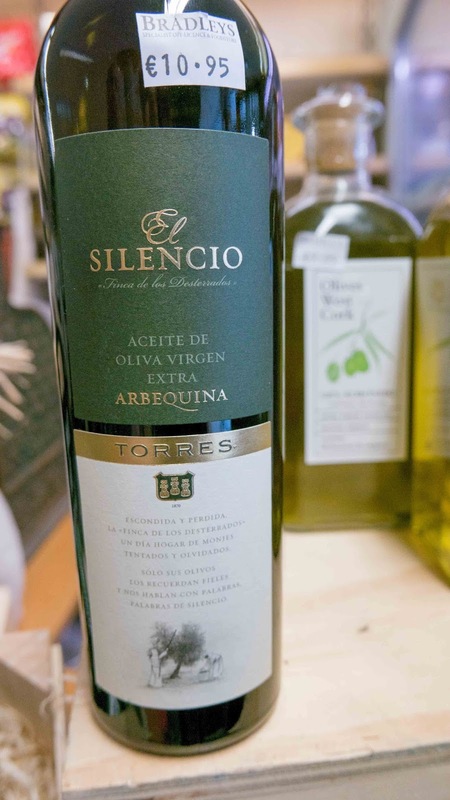 Torres Silencio: Sourced from the estate of Los Desterrados in Lleida, Catalonia, from centuries-old Arbequina olive trees. The olives are harvested and cold-pressed on the same day, and only the oil from the first pressing is used. The resulting extra virgin olive oil is rounded and well balanced with aromas of artichoke, unripened almonds and fresh-cut grass. And Miguel A. Torres Senior requests it at every meal when travelling (where available). 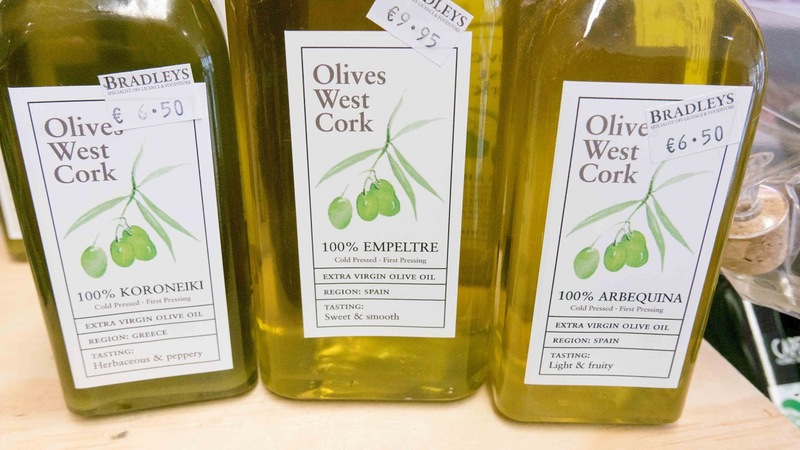 West Cork Olives: Bradley’s also carry oils marketed by West Cork Olives and imported from Spain and Greece. I haven’t had a chance to sample these yet. 1 - How about delicious Pumpkin and Farro Soup with a topping of Parmesan and a good oil? 2 - A lovely plateful of local scallops with lemon, chilli, coriander and oil. Needless to say, plenty of bread (with oil on it) with these two dishes. 3 - Slow Cooked (15 hours) shin of beef with red wine (Italian or Spanish! ), thyme, garlic and black pepper, served with braised winter greens and an olive oil potato mash. 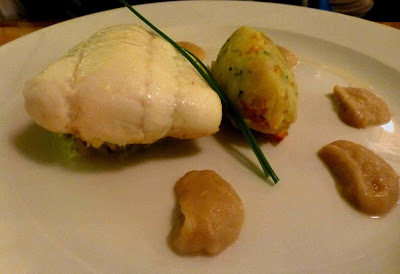 If you prefer fish why not try this Fenn’s Quay dish that I came across a few years back: Grilled plaice, with braised leeks, olive oil crushed potatoes and onion puree. The first three dishes were served at an olive oil tasting in Ballymaloe.